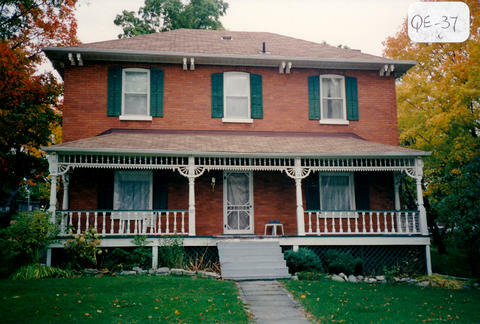 The Thompson Fisher House is located at 37 Queen St. (on the northeast corner of Queen and Rebecca Streets). 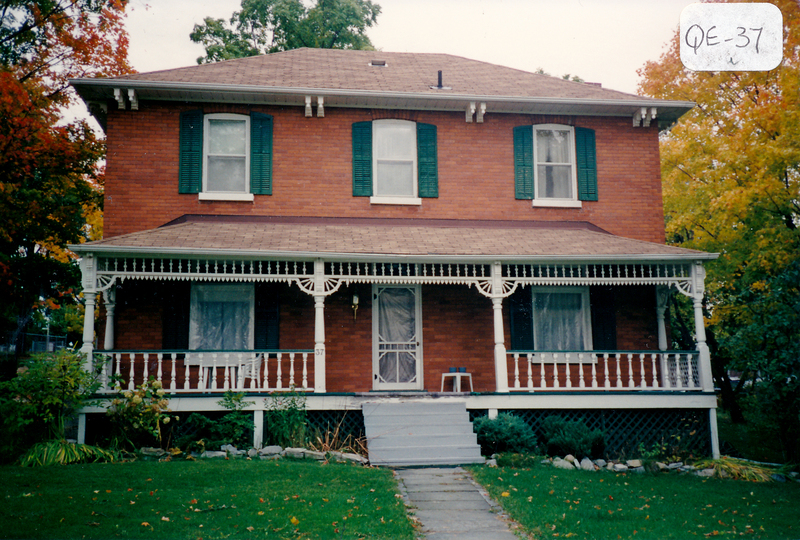 It was built around 1880 in the Eclectic Neoclassical style. It belonged to J.C. Wood in the 1950’s. He was the principal at the original, adjacent Bradford High School.